Expensive Costs, Only 1 out of 10 Industry Players Use IoT. Only 1 in 10 industry players are applying IoT in to support Industry 4.0 by making a smart factory, for example. Jakarta, CNN Indonesia - The use of IoT (Internet of Things) technology in Indonesia is still hampered by the high cost of implementation. 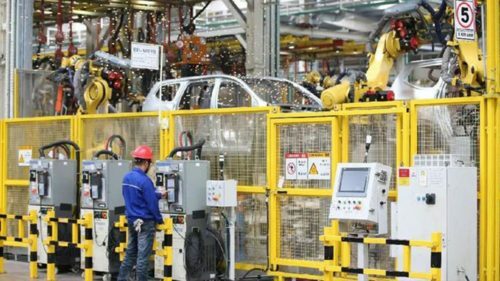 The installation of IoT in the industry to build a smart factory for example, have only been applied by 1 in 10 industry players. This is revealed from the Asia IoT Business Platform (AIBP) survey. Based on the survey, only 11, which is 8 percent of businesses in Indonesia have been using IoT technology. Of those who have implemented it, half (5.1 percent) have benefited. While as many as 66 percent still consider the implementation of IoT. Of the 66 percent, as many as 29 percent of industry players are exploring existing IoT solutions and 37 percent are in the stage of gathering facts and studying IoTs. Thus, in total, there are 83 percent of IoT enthusiasts and implementers in Indonesia. This figure, according to Asia Director of IoT Business Platform Irza Suprapto, indicates a high interest in the implementation of IoT in Indonesia. "This is a very surprising number that came from Indonesia regarding the implementation of IoT, and the interest and implementation of IoT is very high," he said during a press conference in Kuningan, Jakarta, Wednesday (4/7). The problem of high costs not only have deterred industry players in Indonesia. The same problem is also reflected in other industries in Southeast Asia. 68.9 percent of 1573 respondents in Southeast Asia said large-scale IoT implementation is hampered by high costs. The respondents are mainly from Indonesia, Malaysia, Thailand, Philippines and Vietnam.